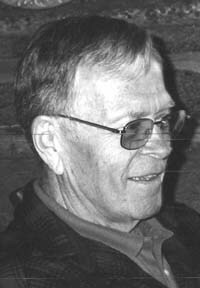 Bill Warberg passed away in the presence of his family at home in Portland, Ore., on March 19, 2012. He was born and raised in Twin Falls, Idaho on June 2, 1932, and graduated with a bachelor's degree in business administration from Linfield College in McMinnville, Ore. In 1953 he married Helen Ann Johnson, with whom he shared his life for 59 years. Bill was steadfastly committed to his family and deeply held personal convictions. He had a remarkable ability to relate to others—an empathy and engaging sense of humor that earned him countless friends from all walks of life. Bill was a teacher by nature, and finished his accomplished career as a doctoral-level professor at Boise State University. He loved every minute he could spend with family and friends at his cabin near the foot of the Boulder Mountains in central Idaho. Surviving Bill are his wife, Helen; children, Ann, Jim and Will; sisters, Sally, Willetta and Zoe Ann; grandchildren, Anders, Ellen, Jason, Logan and Patrick; and numerous nieces and nephews. Bill would appreciate knowing memorial contributions will go toward helping people with disabilities. Two organizations his family supports are Disability Rights Montana at www.disabilityrightsmt.org, 1022 Chestnut St., Helena, MT 59601; and the National Alliance on Mental Illness at www.nami-wrv.com (NAMI) Box 95, Hailey, ID 83333.